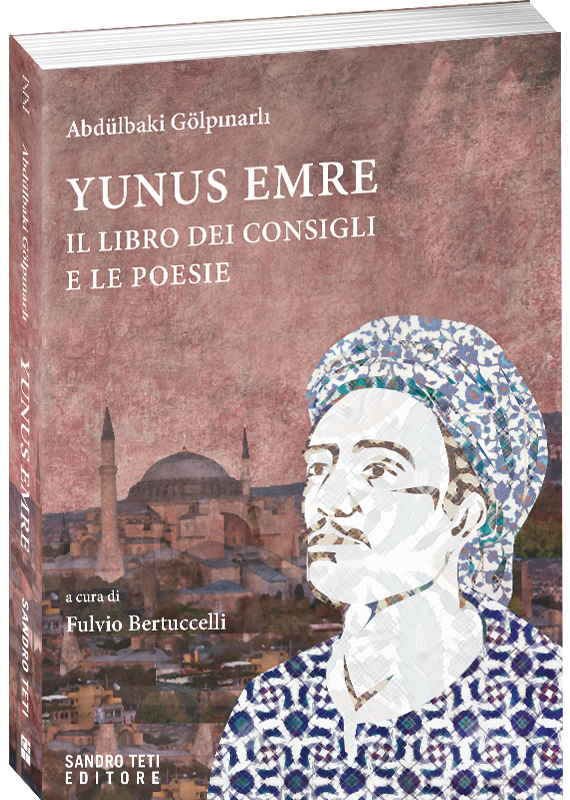 The work of one of the greatest Turkish poets of all time is translated for the first time in Italian. We publish it in the most prestigious reference anthology, curated by Abdulbaki Golpinarli. THE BOOK: Yunus Emre (1240-1321) is a poet and Turkish sufi. It was one of the greatest writers of all times. Despite his verses appear very simple, they contain, in fact, complex mystical concepts. Yunus has exerted a huge influence on Turkish literature. Also for having written his works in that language instead of Arabic or Persian, the two literary idioms of that age. He is considered the founder of the Turkish language and poetry. His name is well known all over the world, since it gave the title to the homonymous cultural Turkish institutes. His works were widely used and popular thanks to the oral translation by storytellers and poets, as well as the famous epic Kitabi Dede korkut that inspired him deeply. He is very popular in the Turkic area, with seven locations in various countries disputing the privilege of having his tomb within their boundaries. Abdulbaki Golpinarli (1900-1982) was one of the greatest scholars of Turkish Sufism – son of the great journalist Ahmed Agah Efendi – originally from the Azerbaijani city of Ganja. Golpinarli attended many Sufi orders without, however, belonging to one of them. He taught history and literature of Sufism in the University of Istanbul and Ankara. He has a perfect knowledge of Farsi language, he is the author of numerous translations from Persian and of fundamental works including this, dedicated to Yunus Emre.